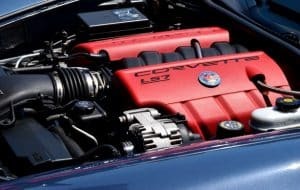 If you are in the market for an engine, then these two terms can be confusing. 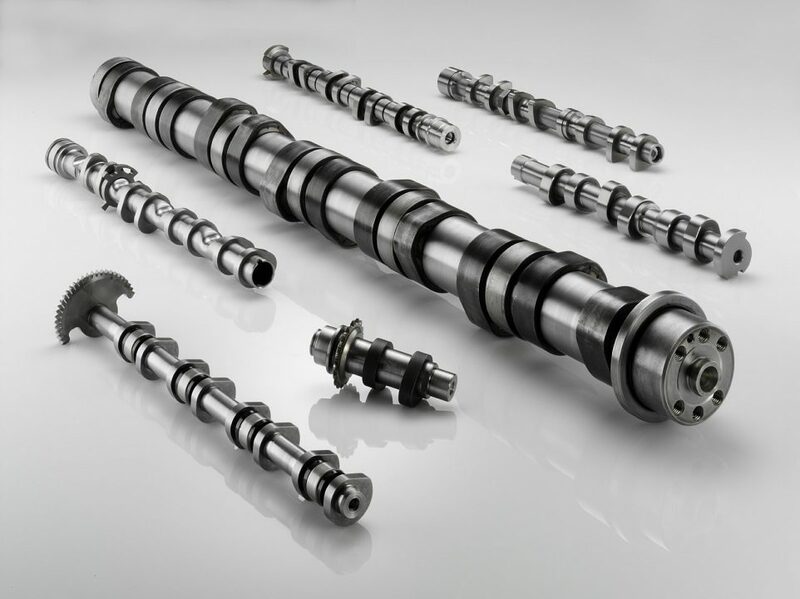 Both terms are used in regards to the camshaft. There are some significant differences between these two types of setups. Before you decide on which to choose DOHC vs. SOHC, you need to understand what they mean and how they operate. SOHC simply stands for Single Overhead Cam. This type of engine comes with only one camshaft located in the engine head. The cam rod is responsible for operating the intake and exhaust valves. DOHC is a synonym for Dual Overhead Cam, and this means you have two cams operating the exhaust and intake valves. The engine has one header but with two cam rods. Unlike the SOHC the DOHC has 4 valves with each camshaft per cylinder, operating either the exhaust valves or the intake valves. The cams can are often tied together by a short chain. Some cars have different valve configurations – 3 intakes and 2 exhaust. Which should I choose – DOHC or SOHC? In looking at the pros and cons of the two, we are going to analyze them based on various factors like fuel efficiency, valve operation, and general operation. Valve operation differs a lot in the DOHC. The value chain consists of lifters, rockers, camshafts, and springs. It is estimated that the valve will open at a rate of 25 times per second when you accelerate at over 3,000 rpm. The crankshafts drive the cams through a timing belt or chain. Should you have, problems with the timing belt/chain and they snap the pistons will suddenly drop on the open valves and destroy them. The internal combustion engine operates through the ignition of the fuel/air mixture. This moves the pistons – which are attached to the crankshaft – and the car moves. The ignition process requires accurate timing of the fuel injection and the removal of exhaust gases. The angle of the camshaft will influence the timing of the intake and outtake gases. The better the timing, the more horsepower you get from your car. SOHC engine has been around for many years, but they have the disadvantage of having less control over the valve timing than the DOHC. While the configuration of the valves in the DOHC is enhanced, it comes with extra costs and makes the car heavier. Most engines with DOHC have enhanced performance when compared with SOHC because you can attach more valves per cylinder. The benefit of using the DOHC is that you have multiple valves controlling the intake and exhaust. 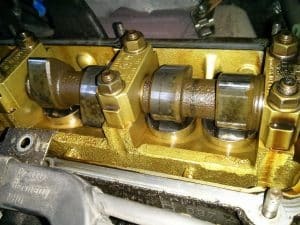 A double camshaft has dedicated valves for inlet and outlet; this leads to smooth transmission and a noise free ride. In each DOHC head, you have a double set of valves. Enhanced control of the valves leads to efficient use of fuel and this, in turn, improves performance. However, other factors play a role when it comes to fuel efficiencies like the age of the car, the experience of the driver and gear transmission. Before the introduction of the DOHC, the SOHC was simply referred to as the OHC (Overhead camshaft). In the SOHC the camshaft is situated above the cylinder head with the valves overhead. The shim located between the valve stem and the cam lobe regulates the opening and closing of the valves. Typical SOHC engines often have two or three valves per cylinder. In the DOHC you have two camshafts that translate to two cams per cylinder head. in this case you can have four valves per cylinder. The downside of having two camshafts and more valves is that it adds weight to the car. Another difference in DOHC vs. SOHC is that you can locate the spark plugs in the center of the combustion chamber. The result is fuel efficiency through enhanced combustion. In SOHC the camshaft operates both the intake and exhaust and therefore has to be placed in the middle of the combustion chamber. This means the spark plugs are not strategically located, and this hinders there performance. A SOHC engine with 16 valves produces better torque than a DOHC with the same number of valves due to the DOHC engine additional weight. But the DOHC will produce more horsepower at higher speeds. The SOHC has better low-end torque while the DOHC has more top end power when the two hold the same number of valves. Technological advancement in valve timing favors the DOHC engine. Studies show that at low rpm the number of valves does not significantly influence performance but when the shift to the next gear an engine with more valves performs better. The hindrance to having more valves is the additional weight. You have to change the valve springs and make them stiffer. This, in turn, creates more valve pressure which means the energy is spent to counteract the added pressure. Smaller valves at low rpm induce lower intake velocity because a large valve means less pressure is going to the valves. The SOHC has a single camshaft while the DOHC has double camshafts. The DOHC engine enables the car to have more valves per cylinder. You can also allocate one camshaft to carry the intake valves and the other the exhaust valves. The DOHC is synonymous with new valve timing technologies. This has led to better fuel efficiency when compared to the SOHC. Most of older car models tend to have SOHC while modern cars utilize the DOHC. The DOHC efficient valve timing has resulted in quiet engines when compared to SOHC. The extra valves led to enhanced performance but caused the car to be heavier. At low torque, a SOHC produces the same power as a DOHC, but as you increase the rpm, you will notice more power with the DOHC. This has led to many people concluding that it does not matter the number of valves that you have if you can achieve the same number with either a DOHC or SOHC. Technological advancement has seen the preference of the DOHC engine as opposed to the SOHC.